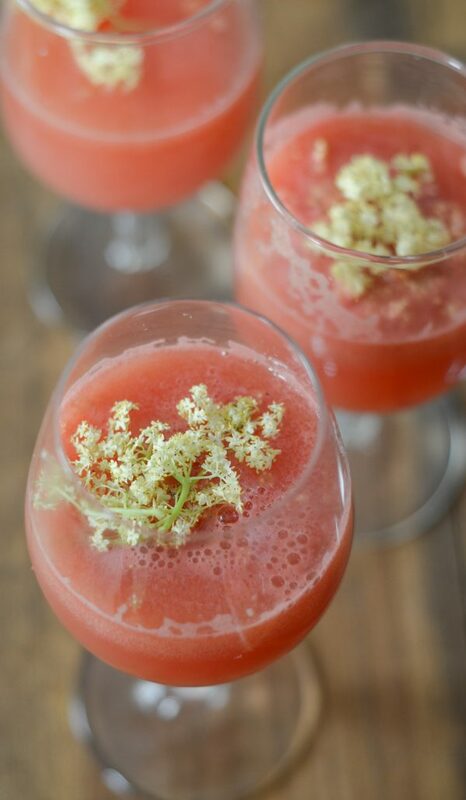 Enjoy a refreshing drink this summer with this Watermelon Pineapple Punch with Elderflower. This post is sponsored by Pompeian, all thoughts and opinions are my own. 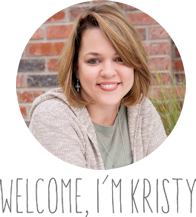 School supplies are on our table and new clothes are being purchased, even with that though it’s still very much summer here in Oklahoma. We are still swimming everyday, inviting friends over, and soaking up every once of sunshine we can get. In the midst of that, lately we’ve been sipping on this refreshing Watermelon Pineapple Punch with Elderflower. 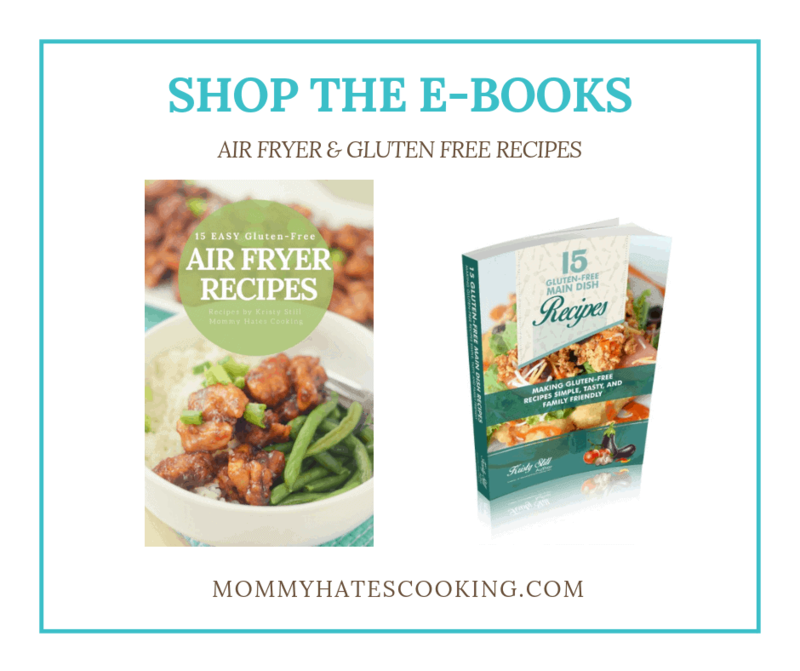 Have you heard of Elderflower? It was quickly made known during the wedding of Prince Harry & Princess Meghan. The wedding cake in the royal wedding was Lemon Elderflower. Of course it was because it’s absolutely beautiful. It is actually the blossoms of an Elderberry Tree. They are beautiful white and delicate, perfect for weddings or summer parties. 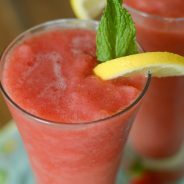 They are also edible, which makes them a great choice for this Watermelon Pineapple Punch. 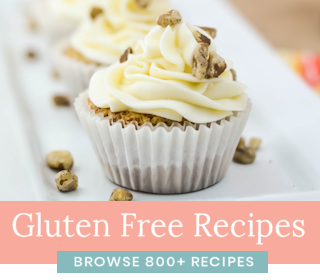 Elderflower is a light flavor, which compliments the flavors of the pineapple and watermelon well. Of course, they are also absolutely beautiful to have laying on top of the punch in a beautiful punch bowl. I decided to add a little secret ingredient to the punch too, Pompeian Organic Apple Cider Vinegar with the mother. 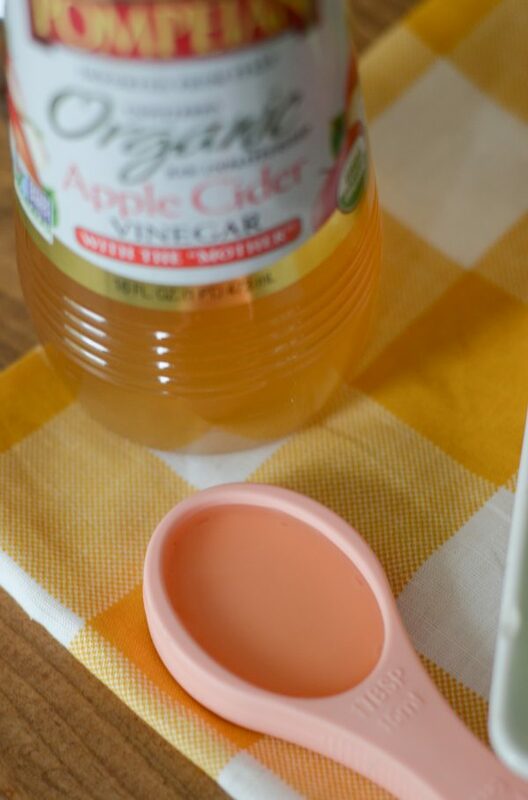 Did you know that you get a plethora of health benefits in just two tablespoons of Pompeian Organic Apple Cider Vinegar with the mother? 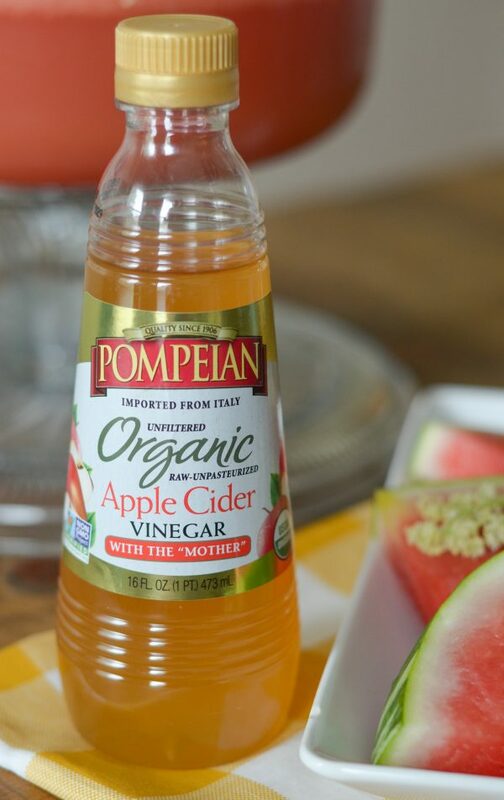 The benefits of Pompeian Organic Apple Cider Vinegar are many including the maximum benefit from high volume polyphenols, which improve digestion, boost the immune system and combat cholesterol. On top of these benefits, it also helps prevent dandruff, sooth sore throats, keep skin healthy, and reduce excess fat in cells. What does this do? It promotes weight loss. 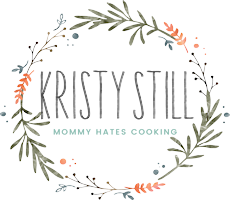 The mother is a dark, cloudy substance that is formed naturally occurring in pectin and apple or grape residues found in organic, unfiltered and unpasteurized vinegar. 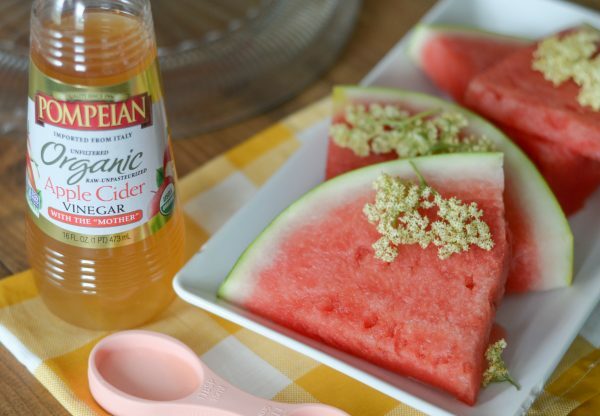 I love to add in Pompeian Organic Apple Cider Vinegar to drinks because it naturally fits the flavor profile, that means you reap the benefits of it without knowing it’s even in your drink. 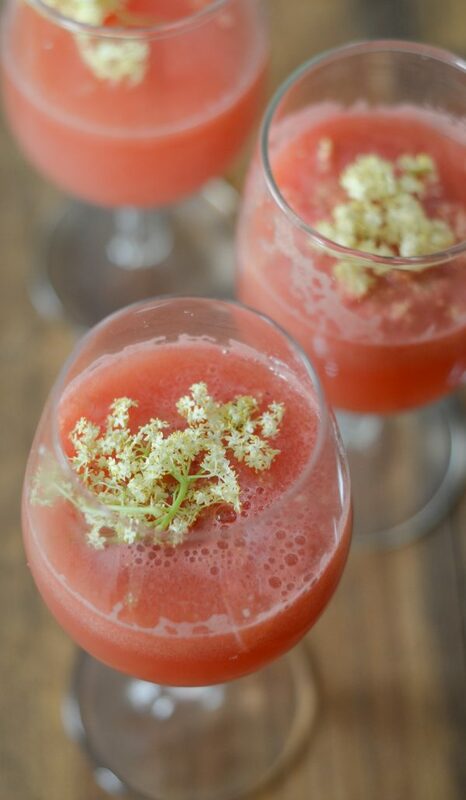 This Watermelon Pineapple Punch with Elderflower was the perfect choice for it. 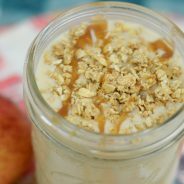 The flavors combined made a wonderful drink that can be served at a summer backyard cookout or party. Pompeian is my choice in vinegar and oils because they have an ongoing commitment to quality, it comes across in their products. 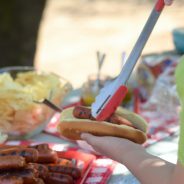 It would also be the perfect punch for a baby shower or wedding shower too. 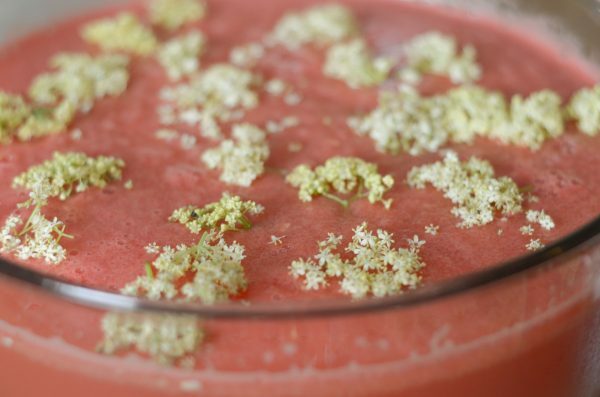 The Elderflower can be added as a garnish in drinks; however, since it’s edible it makes for a great addition to it too. 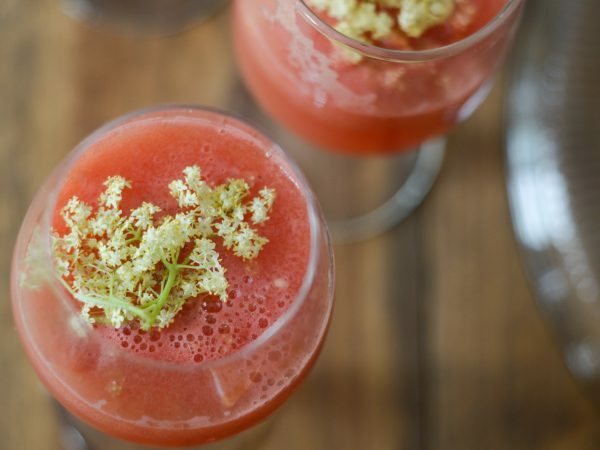 As we head on through August, there is still plenty of time for a backyard party and it gives you a chance to make Watermelon Pineapple Punch with Elderflower for your guests. Plus, you can educate them on the goodness of the drink that you are serving too! 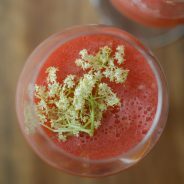 Enjoy this wonderful Watermelon Pineapple Punch with Elderflower, plus learn more about Pompeian. Be sure to follow along to #TrendingintheKitchen and visit Pompeian on Instagram!